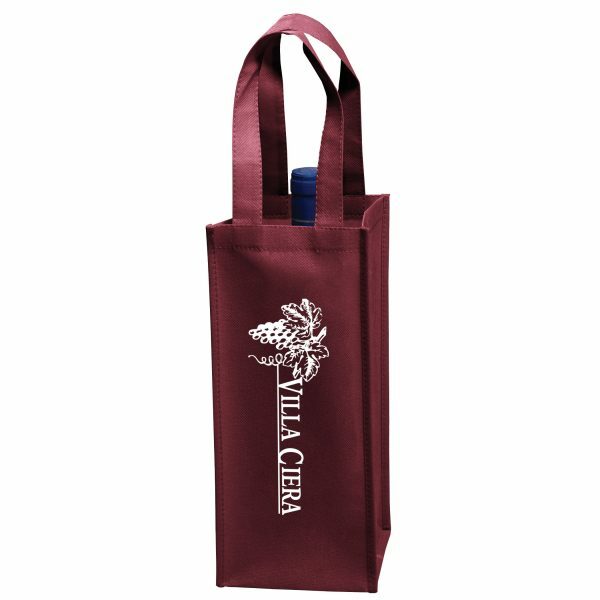 From the Vineyard Collection, this 5” x 12” bag is designed to accommodate one bottle of wine with 5” gussets and 12” handles. Features stitched seams in the side and bottom gussets for protection. Constructed out of 80 GSM non-woven polypropylene. Vine1 One Bottle Non Woven Wine Tote Bag (5W x 5D x 12H): One Bottle Non Woven Wine Tote Bag From the Vineyard Collection. This 5” x 12” bag is designed to accommodate one bottle of wine with 5” gussets and 12” handles. Constructed out of 80 GSM non woven polypropylene. Call us today for pricing on these reusable wine bags. See our other reusable wine bags here. 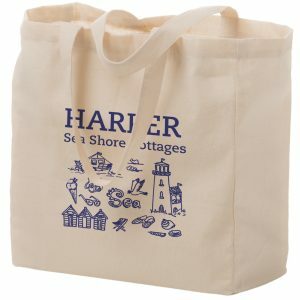 Call us today for pricing on any of our custom wine bags or non woven grocery tote bags. Vine1 One Bottle Non Woven Wine Tote Bag (5W x 5D x 12H): One Bottle Non Woven Wine Tote Bag From the Vineyard Collection. 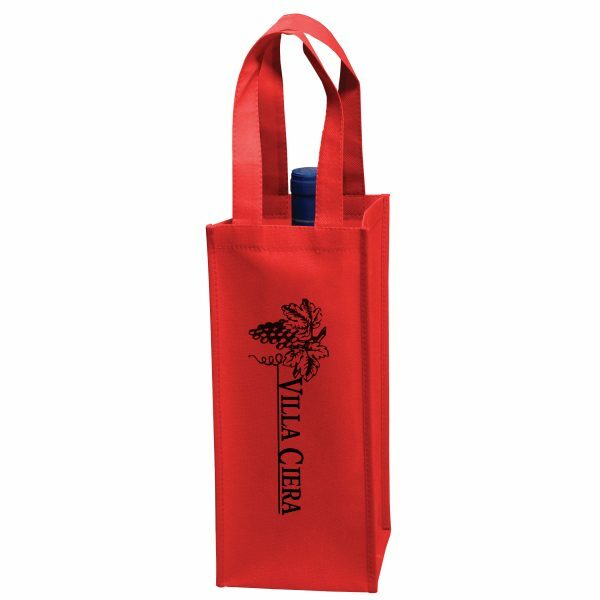 This 5” x 12” bag is designed to accommodate one bottle of wine. They feature 5” gussets and 12” handles. 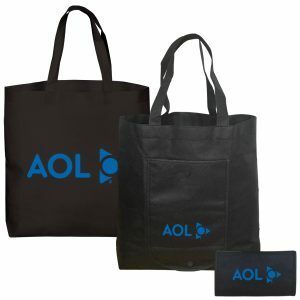 These reusable bags are constructed out of 80 GSM non woven polypropylene. Call us today for pricing on these reusable wine bags. 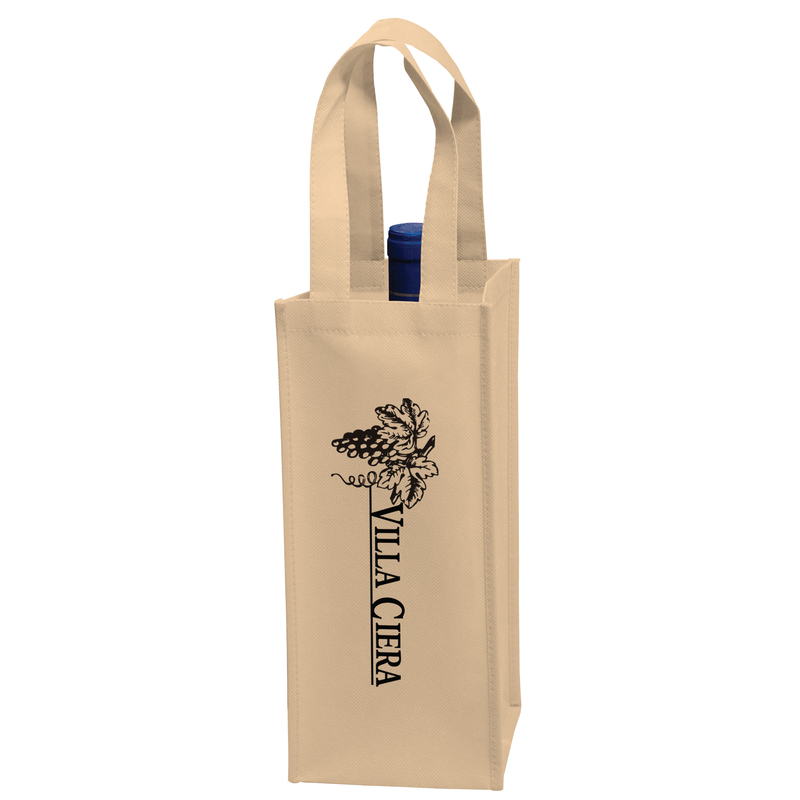 See our other reusable wine bags here. Reusable wine grocery bags make an amazing marketing promotional product. In addition to the success they will bring your company, you’ll also be doing your part in preserving the environment. 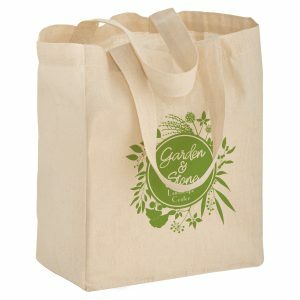 Our company isyour go to source for eco reusable wine bags at wholesale prices. All products we sell and imprint feature the highest-grade material and our customer service is the best around. 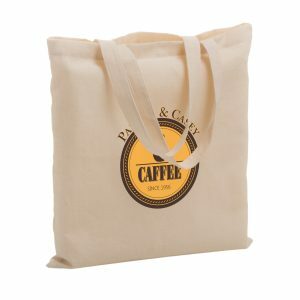 We stock an array of reusable wine bags wholesale. Call us today for a free quote. You can find our complete line of products here at customgreenpromos.com.